Weed enthusiasts are divided on state proposals to allow recreational home-growing. Some reject them as too strict, saying state officials are too worried about a federal clampdown. Others say we should go for it while there’s a chance. Of the eight states with legal weed, only Washington forbids recreational home-growing. That may change. State lawmakers directed the Liquor and Cannabis Board (LCB) to come up with a recommendation on home-growing by Dec. 1. The agency begins taking feedback on its proposals at a public hearing Wednesday in Olympia. Early reviews are mixed, at best. Some ardent weed advocates already oppose the LCB’s options as too restrictive. You don’t need a state permit and tracking system to grow tomato plants, or for home brewing, they say. But the LCB would require those for a maximum of four homegrown cannabis plants. The Liquor and Cannabis Board is holding a public hearing at 10 a.m. Wednesday at 3000 Pacific Ave. in Olympia. Written comments on home-growing may be submitted by email through Oct. 11 to rules@lcb.wa.gov or by mail to P.O. Box 43080, Olympia, WA 98504. “I fear this proposal doesn’t work for anyone and the end result is we’ll have home-grows on paper and everyone will stay underground in practice,” said John Kingsbury, a longtime advocate of home-growing. Other weed enthusiasts disagree, saying, seize the chance, even if the LCB home-growing proposals aren’t ideal. 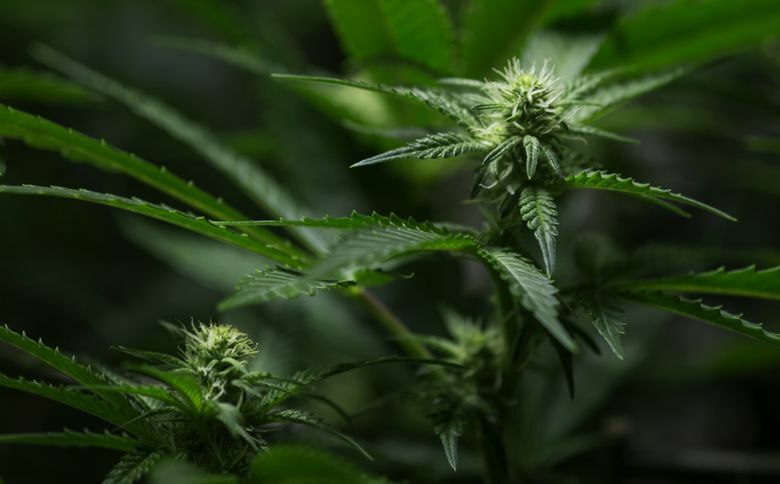 Lawmakers gave the LCB one specific order about analyzing options: It should look at how home-growing would comport with the federal Department of Justice (DOJ) edict known as the Cole Memo. That memo has let legalization experiments proceed in eight states, despite federal prohibition, as long as the states adhere to priorities such as keeping weed from children, cartels and other states. Seattle City Attorney Pete Holmes was a sponsor of Initiative 502, Washington’s pioneering 2012 weed law. And Holmes supports recreational home-growing in the long run. But not now, with Sessions enforcing the Cole Memo. At this stage “we need to proceed with caution given the Cole Memo and the current federal Justice Department, so, on balance, now is not the time to move forward with recreational home grows,” said Deputy City Attorney John Schochet, explaining Holmes’ view. The LCB’s home-growing menu offers just three options – and one is the status quo, or no home-growing. Another would let adults grow up to four plants if they register with the LCB, which would then enforce strict rules, such as requiring all plants to be entered into the state’s traceability system and making sure homegrown weed isn’t being sold. The other option would allow cities and counties to impose even stricter rules than the LCB’s. Thurston County Sheriff John Snaza opposes home-growing, saying he’s concerned about rip-offs, illegal sales to minors and the challenges of enforcing home-grow laws. The Washington Association of Sheriffs & Police Chiefs sent a letter to the LCB citing those and the potential loss of marijuana-tax revenues, as reasons for banning home-growing. One thing Snaza, vice president of the association, isn’t worried about is the feds. “The DOJ has stayed out. I don’t see the federal government being involved at all. I don’t see them interdicting because of how many states have taken this on,” Snaza said. Legal weed is abundant. The state has licensed more than 1,300 legal pot-growing and processing companies and more than 500 retail stores. Average price has dropped to $7.29 per gram statewide, taxes included, according to the LCB. But some people still want to grow their own pot, Kingsbury said. Like home brewers, some are hobbyists who want the experience of tending to different strains, of producing their own hybrids, of savoring the look, smell and taste of their crop. “If you consider yourself a cannabis connoisseur, it naturally follows that you’d be curious about all the details of how to create for yourself what you enjoy,” said Lara Kaminsky, executive director of The Cannabis Alliance, which calls itself the largest industry/advocacy group in Washington. Kingsbury said he worries about the hygiene of legal pot, some of which comes from large-scale farms and has been tested by labs with track records of failing unusually few samples for containing foreign matter. He also thinks the overall quality of commercial pot is suspect. “We call it Taco Bell weed,” Kingsbury said. The Cannabis Alliance doesn’t feel threatened by home-growers, according to an Oct. 2 letter it submitted to the LCB. The alliance views home-growing as a civil-liberties issue and has a “strong desire to see adults granted the ability to grow in small quantities at home,” its letter said. But the LCB proposals are so strict, the alliance favors a ban over the other options. Washington NORML looked to Alison Holcomb, chief author of Washington’s legal pot law, for guidance. Holcomb said I-502 didn’t allow recreational home-grows because polling in 2010 showed Washingtonians were uncomfortable with it. But with seven other states now allowing homegrown pot, Holcomb said the political risk for Washington “is minimal to nonexistent.” Potential benefits include a check on industry control of quality and price, she said. Washington NORML supports a 15-plant limit for home-growing, with no licensing required. But Oliver said those are more negotiating points than realistic goals. (No other legal-weed state allows more than six mature plants). The LCB’s options were shaped by the Cole Memo, said agency spokesman Brian Smith. “Anything less than secure is not compliant,” Smith said. Officials in other states also advised Washington to be conservative with plant counts, he said. Smith noted that to grow six plants, Washington medical patients need authorization from a health-care practitioner. Some see the LCB’s fears of the feds as conflicting with what Washingtonians expect from legalization. The state has rebelled against federal policy on several fronts, said Dominic Corva, founder of the Center for the Study of Cannabis and Social Policy. The question, according to Corva, is how can home-growing get the same kind of consideration as climate change, immigration and LGBTQ politics? But even if the LCB were to recommend something closer to Oliver’s call for 15 unlicensed plants, it’s not clear how many people would ever try growing, whether indoors, where energy use is significant, or outside, which means battling mold in Western Washington’s climate. A 2014 national survey found that less than 1 percent of Washingtonians grow their own marijuana. It’s not easy, Kingsbury said, and involves costs, privacy issues and daily care of plants. One invasion of spider mites can sink your crop and what you’ve invested in it.